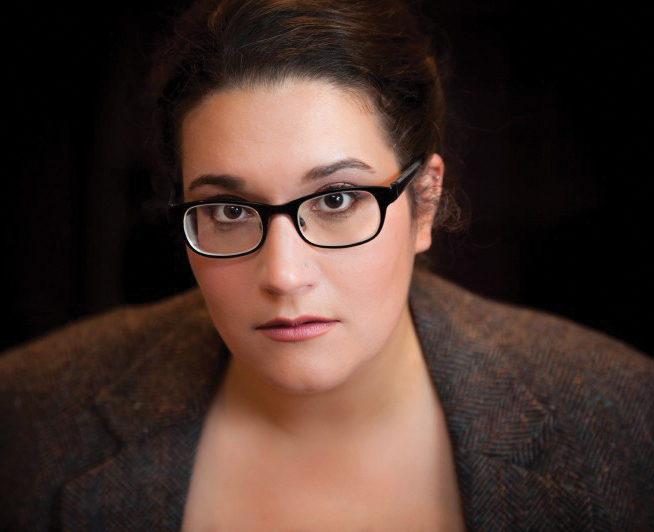 Carmen Maria Machado, Writer-in-Residence at Kelly Writers House, combines science fiction, horror, folk tales, and pop culture references in stories that are utterly modern and unabashedly focused on female experience. Her debut collection, Her Body and Other Parties, was a finalist for the 2017 National Book Award. I always tell people that a novel is a thing that wrestles you to the ground over a long period of time, and a short story is like a punch to the nose. It's meant to leave you breathless, and then depart. To make you ask, “What happened?” I feel that I’m better at the short form and my desire to experiment and play around is easier to do when I'm writing a 20-page story as opposed to a 200-page novel. There's just something about the short story form that pleases me; I love it so much. A lot of my ideas start as “what ifs.” “What if this thing happened? What if we took a peek into this world?” Sometimes I will start with a setting or a question or an image. Sometimes I'm just really interested in writing about a certain topic. Like, I have a story in my collection that began because I wanted to write about bariatric surgery. So I had to figure out how best to get into that story. Some writers say, "Oh, a character is speaking to me; I need to write about her." I'm not that way. I have a question and I set out to answer it. Ultimately, all fiction is being re-told. That is just how we write. We’re riffing on an essential theme or essential stories we already know. I'm really interested in what media, what literature, what art has to offer me and what it does not offer me, and then filling the space where I feel like the story or ideas are unsatisfactory to me in some way. I’ve used Law & Order: SVU as a starting point. It's sort of our best and worst in contemporary fairytales. All fairytales tell us a lot about what we're afraid of, what's important to us culturally; SVU tells us what we think about women and women's bodies and narratives about sexual violence. There's just no better lens. Some people think that’s very different than retelling Snow White or something like that, but it's the same idea. One is older and one is more contemporary, but they’re all the same kinds of stories. I feel satisfied by what I'm creating, and that's really important because ultimately, I'm writing for myself. I'm trying to answer my own questions.